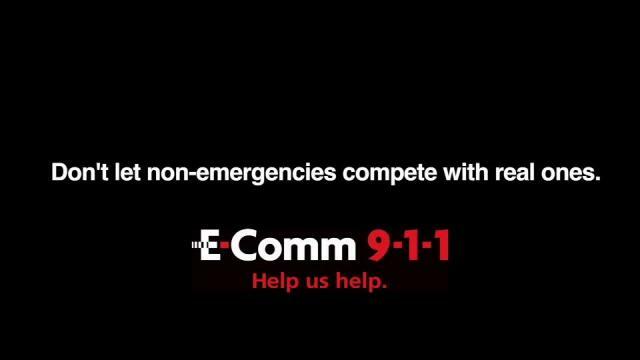 Nov. 30, 2017 9:30 a.m.
One-in-five 911 calls for police aren’t actually an emergency, according to new estimates by E-Comm. According to the emergency communications centre, which serves most of B.C., call-takers received 387,000 calls in Metro Vancouver last year. Of those calls, about 77,000 were non-emergencies – a stat that has continued into 2017. Last week, out of the 9,000 police calls received 1,800 were non-emergency calls, said Jasmine Bradley, E-Comm’s manager of corporate communications. In response to the 20 per cent of non-emergency calls, the communications centre has launched a new campaign urging B.C. residents to consider how they may be letting non-emergency calls get in the way of real ones. While some calls are so ridiculous they make the communication centre’s annual top 10 worst list – like a person in 2016 who called 911 because their gym locker was “broken” – others may be less obvious to some. Jefferey Chin, who’s been a call-taker with the service for three years, told Black Press he receives non-emergency calls almost every shift. “Before we ask a 911 caller to hang-up and call their local non-emergency number, we have to take time to assess whether the situation is an actual emergency,” he said. In one instance, he received a call from someone whose vehicle had been broken into three days earlier. So what is the difference between an incident for 911 and one for the non-emergency number? “Non-emergencies are still police matters, but they don’t require an immediate response from police, fire or ambulance,” Bradley said. Situations still in progress, an incident that results in injury or when a suspect is still on scene are examples of when 911 should be called. Still, if someone is in doubt about how dire their emergency or situation is, it’s better to call 911, Bradley said. To find out what your local non-emergency number is, click here.